I have expressed before my love for the Apivita products and have posted about this Greek company’s holistic approach to beauty which remains faithful to Hippocrates’ philosophy. I always come back to Bahrain from Greece with a suitcase full of their products and keep enough stock in my bathroom cupboard so I won’t be left without my favorite facial cream, my shower gel and soaps, my body moisturizer, essential oils but also honey, tea and kid’s amenities. This time, during my stay in Greece I wanted to fully indulge myself by visiting the 5-storey Apivita Experience store situated in the heart of Athens. 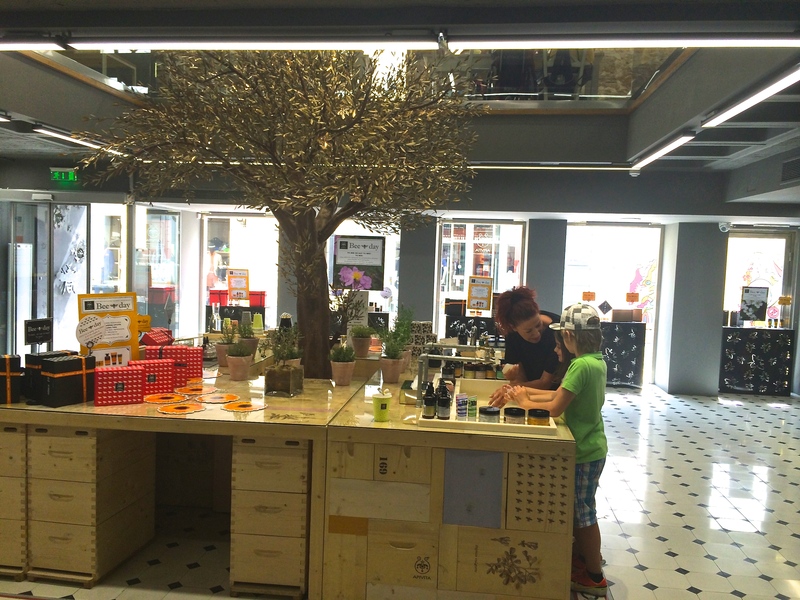 Inspired by beehives and with an olive tree domineering on the ground floor, this beautifully decorated shop has everything you need: A juice bar where you can enjoy healthy juices and teas, a hair salon/barber-shop, a beehive spa (! ), a natural pharmacy for custom-made cosmetics and a lecture room where you can learn all you need to know about beauty in various seminars organized by the company. After enjoying a refreshing juice I decided I should give my hair a little treat and I entrusted my tresses to the hands of Dimitra who used natural hair dyes to enhance my color and gave me a simple, yet sophisticated hair cut. 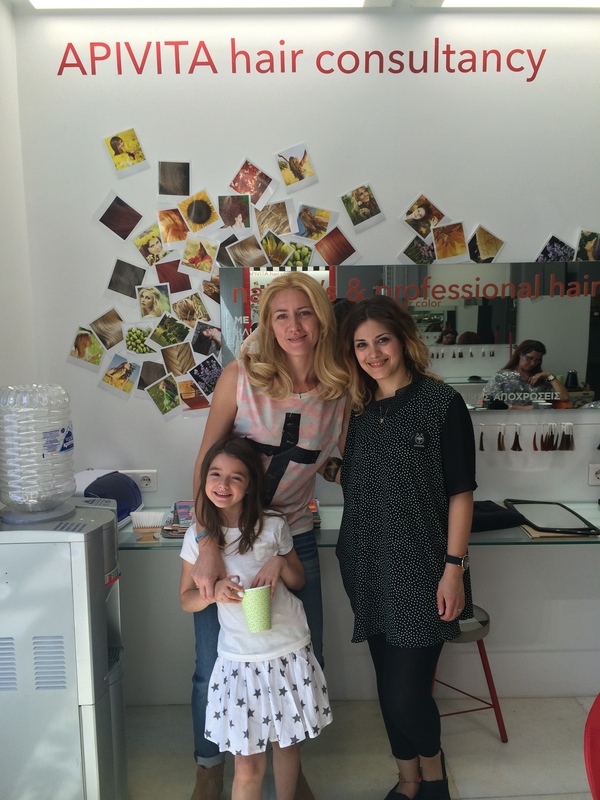 I was really impressed by the results and how soft my hair was after the treatment and I highly recommend you check this shop out when being in Athens.